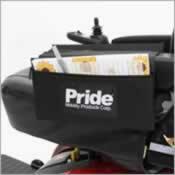 The Pride Jazzy 600 ES Power Wheelchair is a compact and versatile model that is perfect for both indoor and outdoor use. In addition to a cutting edge suspension system, it also features powerful large drive wheels and front and rear casters, that provide unbeatable stability. 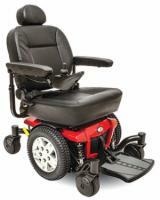 With this power wheelchair, you can overcome any obstacle and enjoy limitless accessibility. 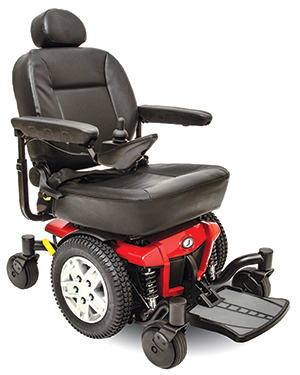 In addition to superior performance, the Jazzy 600 ES also provides a comfortable and supportive seat that will cushion your body over extended periods of use. 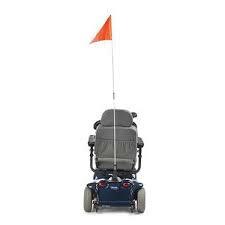 Other standard features include: 2 long lasting batteries for extended use, easy to operate joystick controls, and the nation's best warranty. Call us today to speak with an expert and learn more about this great value.